"Our lives begin to end the day we become silent about things that matter"
"You have power over your mind - not outside events. Realize this, and you will find strength." Tweet from NBC News President Trump won't be participating in any Martin Luther King Jr. Day service activities tomorrow. According to the White House schedule, he "has no public events scheduled. I know where I was 11/22/63, the day JFK was killed. I know where I was 12/27/67, the day my oldest daughter was born. I know where I was 1/31/67, the second day of Tet, 1968. I know where I was April 4, 1968, the day MLK was killed. I have vivid memories of those four days but no regrets about where I was or what I was doing. But I do have a regret. It is, I don't remember where I was on March 25, 1965, when Martin Luther King, Jr. delivered a speech from the steps of the state capital of Alabama. Actually, my regret is that I wasn't there. 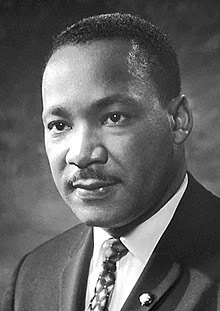 The Reverend Martin Luther King, Jr. I remember all the pertinent events in our history and thank the school system for those huge old televisions we watched on. John Glenn's space flight, all the presidential swearing ins, the assinations of Martin Luther King, JFK, Bobby Kennedy, the moon landing and a bunch of other historical events of my almost 65 year life. So many changes in such a short period of time. I lived through the bomb preparedness of the Cuban crisis. The most horrific event was the destruction of the twin towers in New York City. With all the hate or envy against our beloved America, I find it very difficult to understand why we continue trying to assist the world as they continue to destroy their own lives and countries. Being a good neighbor is not being a caretaker. I am sickened by the influx of people who refuse to abide by our laws but are coddled and protected to prevent them from being offended. What about the rights of our own citizens? Why must the people of America who are struggling to feed and house their own children have money they work hard for taken to provide for those who only wish to come here and take while offering nothing in return but hate, accusations and the desire to have us change to reflect the very countries from which they fled! I have in recent years begun to remember many changes in what was once a proud nation as it begins to take the form of some unrecognizable third world country.... Much of the America I remember still exists but I fear it is but a passing thing. I am saddened by political parties who rather than negotiate for the good of OUR own people choose to fight and deny Americans what we need simply because they did not want the president that was elected. This is not a backyard fight among children! I do sincerely hope I do not live to see the fall of this once great nation over that! We are changing as a nation and those changes being fought for are not legal nor our own! What I see is a bunch of ill children who want their own way if only to make someone they did not want in office mad! It sickens me more than any past horrors! Thanks again for your beautiful comment. You are wonderful. Dr. King would be ashamed of what strides America was once making to see how far backwards we have gone today! One of my first jobs involved delivering candy, tobacco, and various other sundry items to small country stores. Many of those stores had two front doors which were marked “white and colored” or “white and black.” I found it curious that no matter which door I entered the store through, once inside there was no difference. As I think of those days, I still feel the shame I felt then at having to make that choice. April 19th, 1967 I was at home where my daughter was born. No hospital, just the MD and a nurse to help for a couple of days. Our daughters are the same age. They are such big blessings. 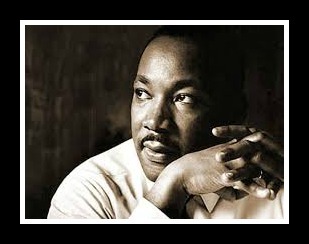 As to MLK, it was sad the price he paid for what he believed. It is satisfying to know that only the flesh died. He and is soul are still with us and he is doing his highest and best just as he did then. "Go ahead, make my day" - leave a comment - then click "Subscribe by email," to be notified of all comments on this post.